But you must admit that the thought of a new longer flange focal distance mount for the 4/3 sensor and thinking that it might compete with aps-c and FF sensor dslr bodies was a little out there in deep space. No matter how good the gear might have been. Luckily they changed course before that silly diversion took them right out of the game. That they biffed their still smiling 4/3 customers in the process was a nicer result than taking them further down the route to eventual oblivion. 4/3 certainly would never have torn me away from Canon and of course we cannot say that Canon gear was any less capable than that of Olympus. At least the M4/3 mount did provide a clear alternative that has allowed camera owners to take a different path. 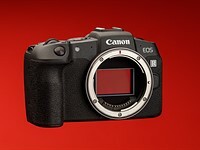 The dslr might have a long way to go before it becomes the dinosauer of photography but in the meantime quite a lot of would be camera buyers have voted with the credit card that they no longer wish to play the dslr game. So your point is valid but my point is that M4/3 is much more established than 4/3 ever was and one might look at the mounts that use an aps-c sensor and try and figure out which oen of them might survive. For example why might anyone have bought a selection of EF-S lenses - something dreamed up by Canon for those who mmight never aspire to a FF sensor EF mount? Canon still make them but their reason for being is rather weak and EF-M only can be used on EF-M bodies - to look at the number and type of EF-M bodies about one might also wonder if Canon is at all serious about the EF-M mount - any more than trying to stop some of the bleed from EF to M4/3. At least M4/3 is a straight from the shoulder no nonsense attempt at a proper long lasting system type and not a case of fiddling around the the fringes with nearly, maybe, but never quite good enough lest we make something that will kill off our dslr pot of gold.